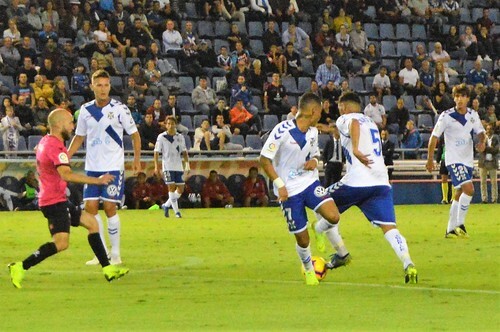 Despair, utter despair, that was the feeling in the Heliodoro stadium after four minutes, as CD Tenerife went 0-2 behind to Alcorcon. 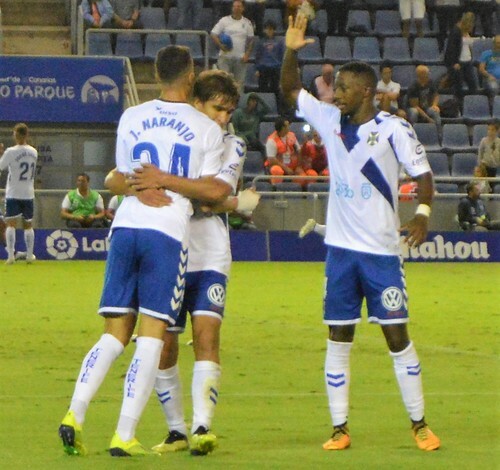 Redemption looked like an impossible dream against a team that had only conceded three goals in their first 10 league games but Tenerife slowly steadied the ship before unleashing a second half fight back to win the game 3-2. Seats had hardly been filled when Alcorcon grabbed the quickest ever goal in the stadium after just 18 seconds. 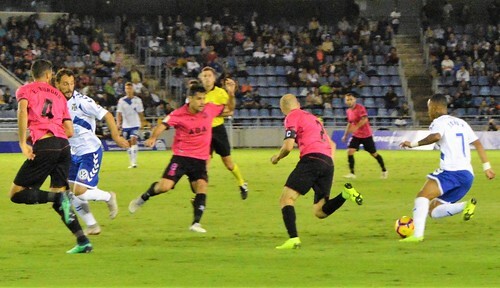 It was a comedy of errors as Alberto mistimed a sliding tackle on Sangall, and Dani Hernandez spilled the ball twice to present the visiting striker with a gift goal. The second goal also owed a lot to poor defending, Alberto made a hash of a tackle and the ball broke to Juan Munoz who tucked it just wide of diving Dani. 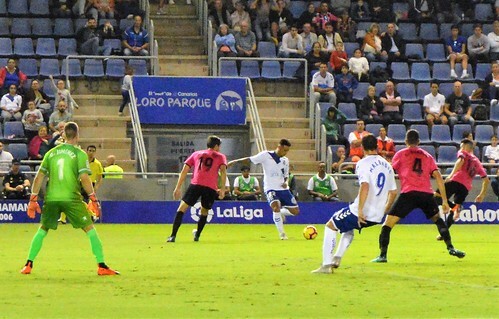 Many fans feared a cricket score, to their credit Tenerife kept their composure with Suso taking the game to Alcorcon with a couple of lightning breaks. Former home player Casadesus was back in town, this time in an opposition shirt, he was the pivotal link between their defence and attack, his pass to Nono was met with a wayward shot and a let off. The best home move of the first half came when Luis Perez robbed Nono, and fed the ball on to Suso via Jorge. The end product was lacking but it showed the home flame was still flickering. Casadesus was stretchered off five minutes from half time after he and Camille clashed going for the ball. 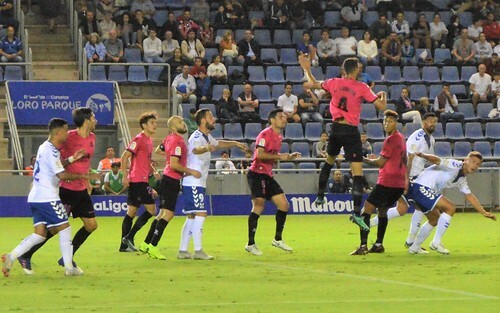 That loss unsettled Alcorcon, and Tenerife nearly capitalised with an Alberto header that came back off the bar before the players took their break. Jose Luis Oltra must have had the paint peeling with his half time talk to the home players, they came out with a positive attitude that saw Milla go close with a clever corner. 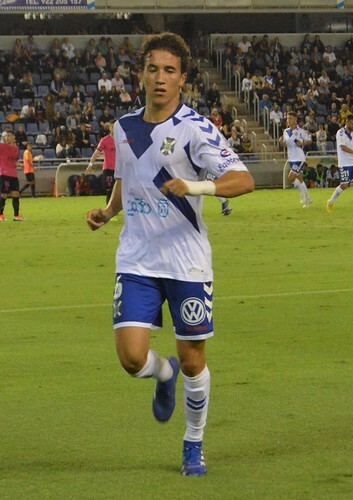 The turning point was the introduction of forward Felip Malbasic for Tenerife. Even his odd glimpses of talent had deserted him this season but there was no faulting him from the second he ran onto the pitch. It was a gamble using him to replace Acosta but the Serbian played to his strengths, power, determination, and sheer persistence. Nano enjoyed having the big man make valuable space for him, the two combined perfectly after 57 minutes, Nano made the pass, and Malbasic crashed home his goal past a well beaten goalie. The chase was on. 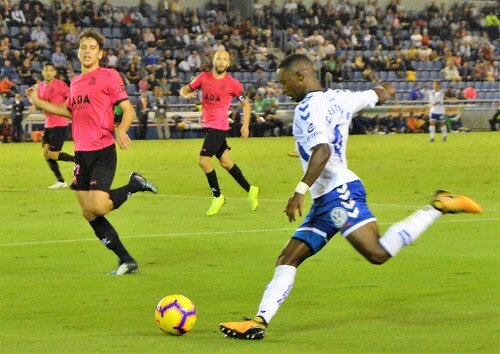 Tyronne (Tayron) made his comeback from seven months injured, replacing Luis Perez, a clear sign that Tenerife were going all out to catch Alcorcon. Camille was adding his sprints down the left, the Alcorcon goalie had to made a decisive take from a cross to Nano. The home players were playing more as a unit and looking for each other. Malbasic held up the ball and played it ahead for Joao to chase but it ran on a bit too fast. Suso thought he had beaten the away defence, the goalie raced out to the rescue, the 9,016 crowd was buzzing with hope and anticipation. Even the ultra defensive midfielder Undabarrena managed to fire in a long, low shot to test the goalie. With 84 minutes gone, Luis Milla lined up to launch a free kick well outside the keepers area, he struck it with power and accuracy and it dipped over the defence and between the keepers outstretched hand and the post, a perfect equaliser. Nano was coaxing the crowd to turn the volume even higher and two minutes later they had good reason to celebrate. Naranjo had done little since coming on for Joao, Malbasic burst through to the right of the away goal and sent in a looping shot just as Naranjo drifted in from the left to apply the touch it needed to steer the falling ball into the net. There was still work to do to keep their noses in front, Dani showed why the fans were still singing his name even after two below par games. A goal line save in the final minute of regular time, and a diving stop during an agonising five minutes of injury time sealed the win and lifted the spirits of fans and players alike. 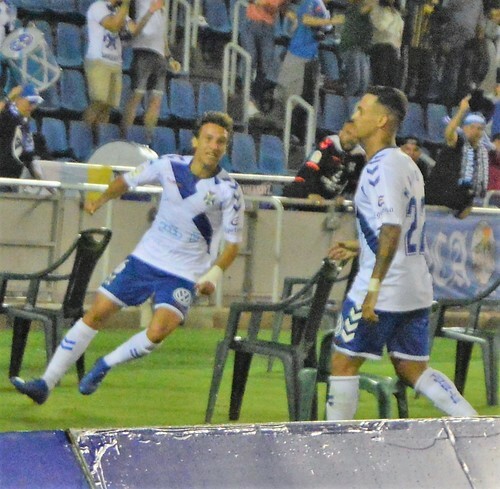 That moves Tenerife up to 16th, the crowd added some late cries for the removal of President Concepcion, a recognition that long term internal problems linger at the club, but at least there is now something to build on and hope of climbing up the Segunda division table.